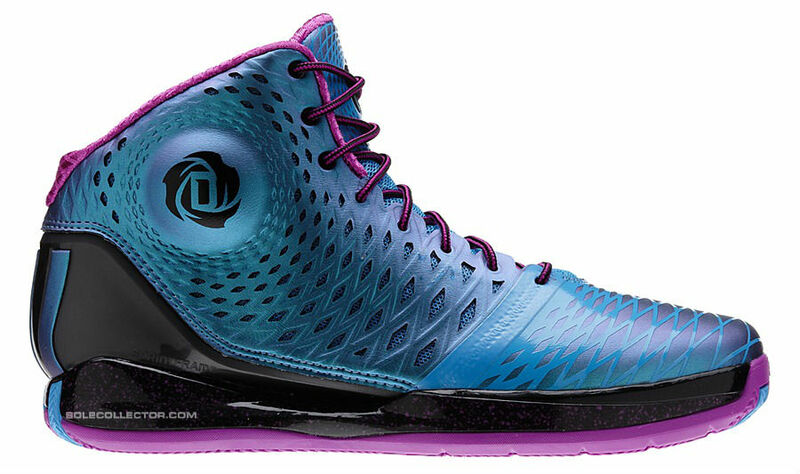 Is there another Rose 3.5 colorway on the way? Maybe. 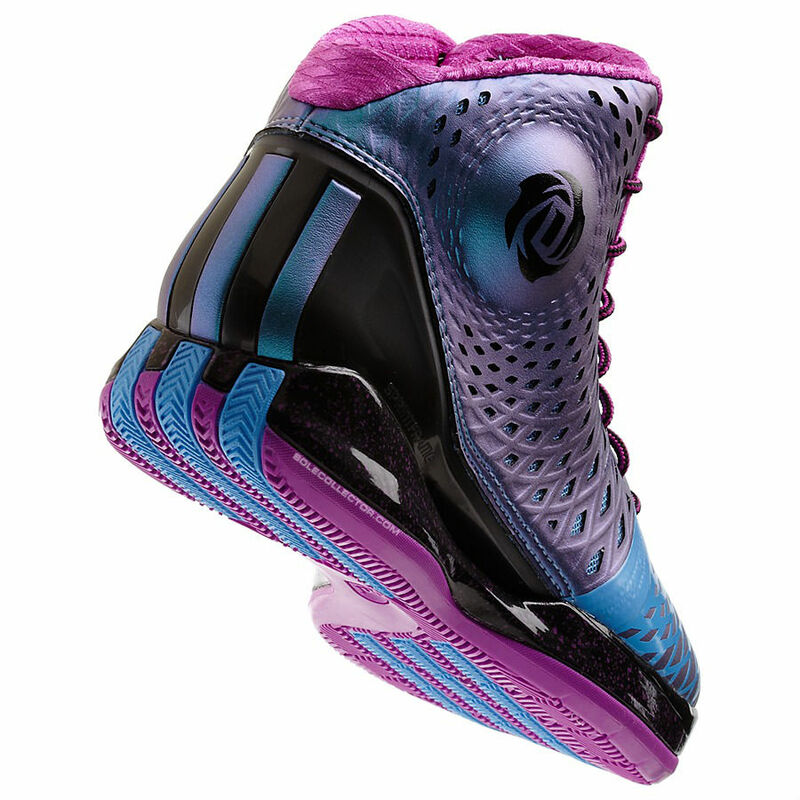 Back in April, we were told that the "Metal" colorway would be the last release of the adidas Rose 3.5. However, there was at least one more pair scheduled to drop and we have a detailed look at that colorway for you today. 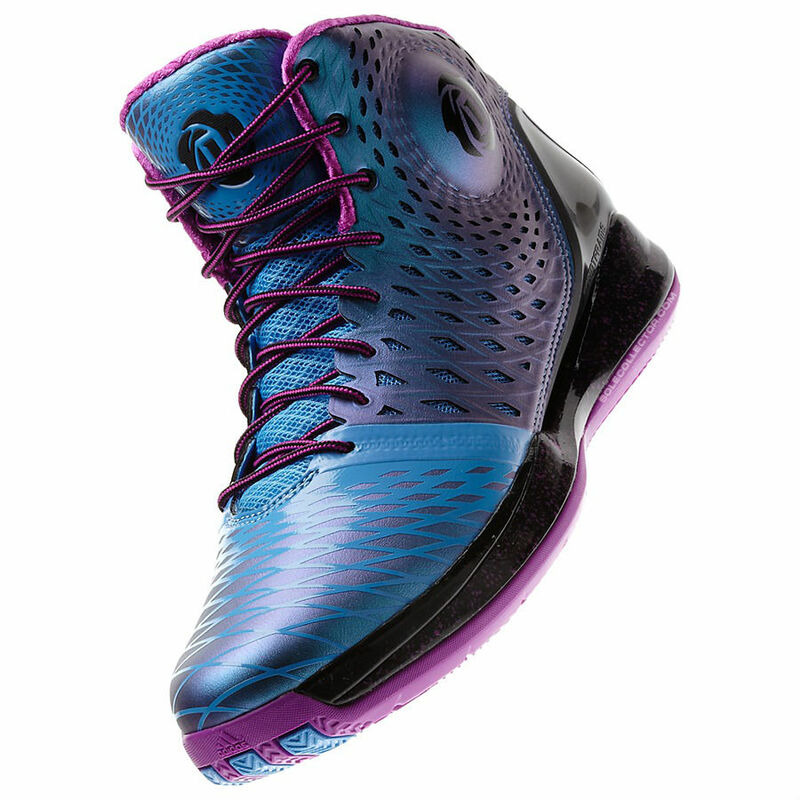 One of the more interesting Rose 3.5 colorways to date, this pair features an iridescent synthetic and SprintWeb upper in Joy Blue. 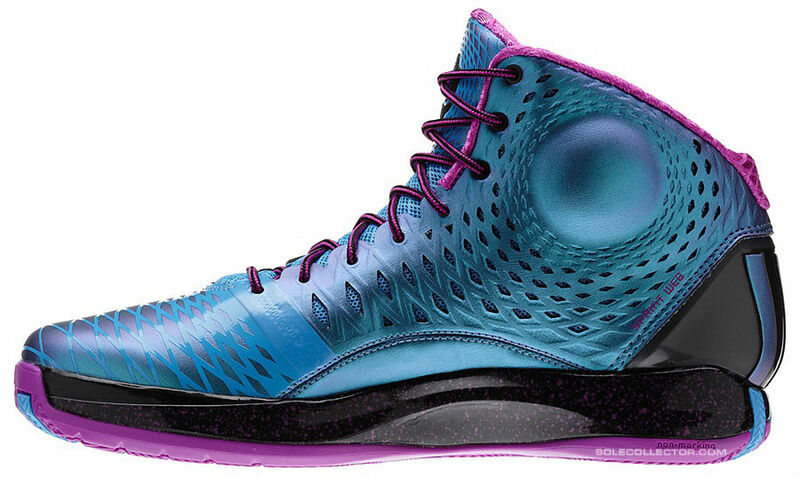 Iridescent stripes also run down the heel, while black works the SprintFrame chassis and speckled midsole. Pink handles the laces, inner lining and outsole to complete the unique look. Will this pair still release? We're not sure at the moment. It was on the calendar for early June, so we'll find out within the next month or so. Would you cop a pair?